Steak & Crab is back at Chop for a limited time! Fresh, tender 100% Canadian steak and Atlantic king crab are a powerful pair on our feature menu that you can catch at any of our Chop locations. Join us for lunch or dinner, happy hour or late night, and you’ll be sure to find something to satisfy your crab cravings. Toast the occasion with a bottle of Australia's 19 Crimes Shiraz — the perfect pairing to our Blackened Sirloin Crab Cake Oscar. Visit our reservation page today to book a table at your favourite Chop Steakhouse & Bar location and be sure to follow us on Facebook, Twitter, and Instagram for all the latest news. Join us at Chop until May 15th, 2018 and catch your favourites while you can! 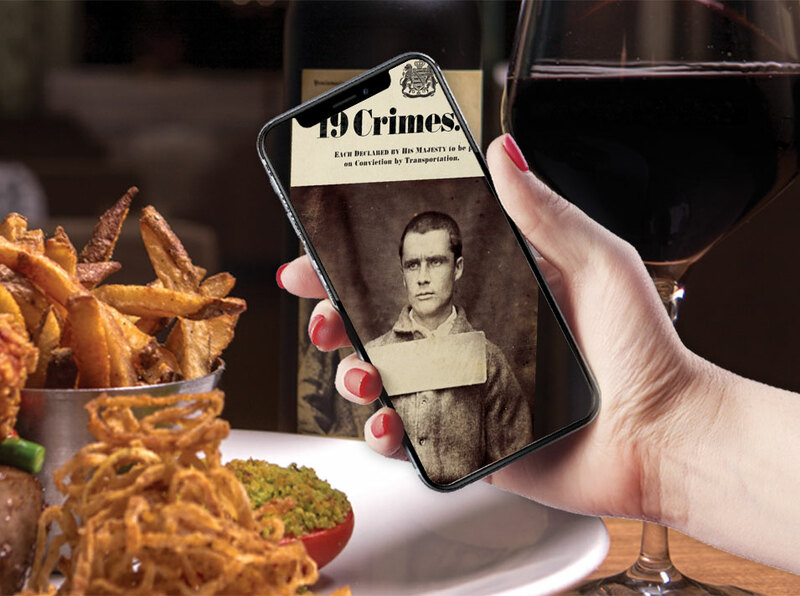 The rich, bold flavours of black cherry, cassis, and pepper in Australia’s 19 Crimes Shiraz pairs perfectly with our Steak & Crab feature menu. Download the Living Wine Labels app and watch history come alive! Explore the true stories of the English convicts that were punished by transportation to Australia.